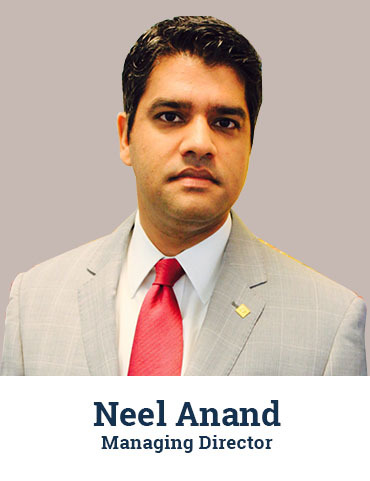 Neel has been with CF Canada Financial for over 15 years and fulfilled various management capacities. His innovative thinking and commitment to technological advancement have resulted in the creation of the CF-exclusive Advisor Business Success System (ABBS ), a program that is revolutionizing the Financial Services industry. With a strong background in business development and management, Neel is continuing his father’s legacy in establishing and promoting the largest network of independent brokers in Canada to empower families in building a stronger financial foundation. In addition to his commitment to the family company and the distribution of financial products on the local market, Neel is an avid philanthropist and is actively involved in various initiatives that seek to make a positive impact on our community – BC Children’s Hospital and Cancer Society. Industry-specific, domestic market insurance and finance experience.